Justice Tanko Muhammad who is the acting Chief Justice of Nigeria has said that he was not aware of the suspension of Justice Walte Onnoghen until he was called to the Presidential Villa. According to Sahara Reporters, Justice Muhammad said this in a response to the query issued against him by the National Judicial Council (NJC), on accepting to be sworn in as acting CJN without the approval of the NJC. Muhammad claimed he accepted the position “in the larger interest of the country and the Constitution”. 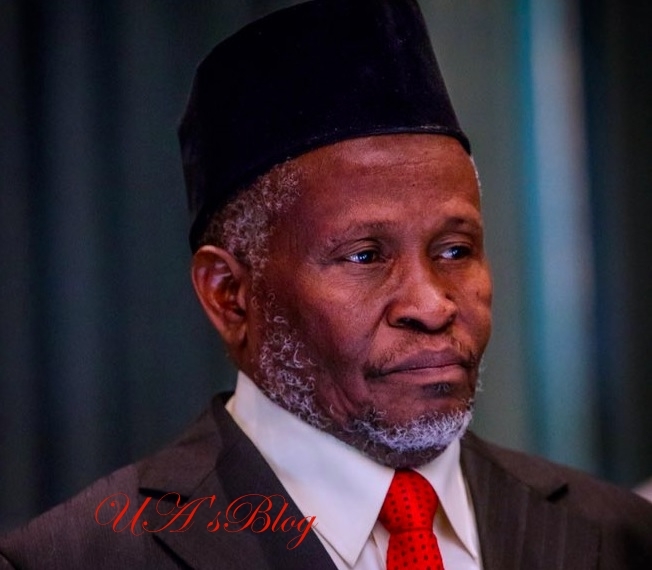 A group, Centre for Justice and Peace Initiative, submitted a petition to the NJC demanding that Tanko be removed as acting CJN. Tanko also said President Muhammadu Buhari does not need the approval of the NJC to swear him in as the acting CJN but insisted that Justice Onnoghen remains the substantive CJN as he was only suspended. Meanwhile, the suspended CJN Onnoghen was absent from the Tuesday, March 12, proceedings of the Code of Conduct Tribunal, for his trial over allegations of non-declaration of assets. While explaining his absence to the three-man bench of the CCT, his lawyer, Adegboyega Awomolo (SAN), said he was informed on Monday night, March 11, that his client was suffering from toothache and he tendered a medical report to support the claim.